Here’s a topic people can’t get enough of! “Mindful Eating’. 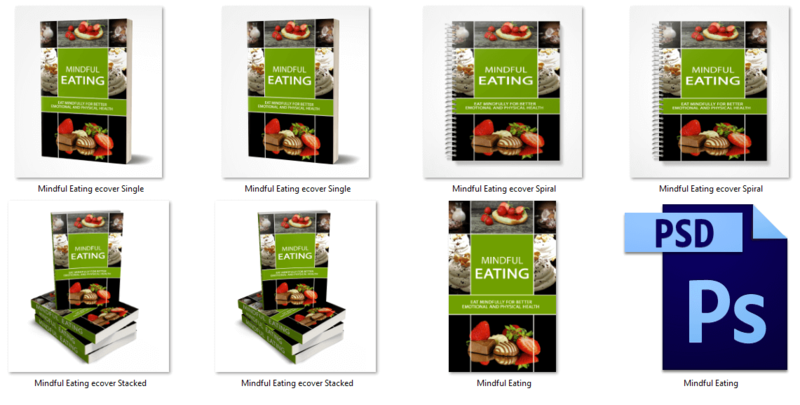 Our Mindful Eating PLR package contains an ebook and ecover graphics, and it comes with a private label rights license. This ebook is professionally written and edited. It contains 14 pages, 2,099 words with introduction, disclaimer and conclusion. 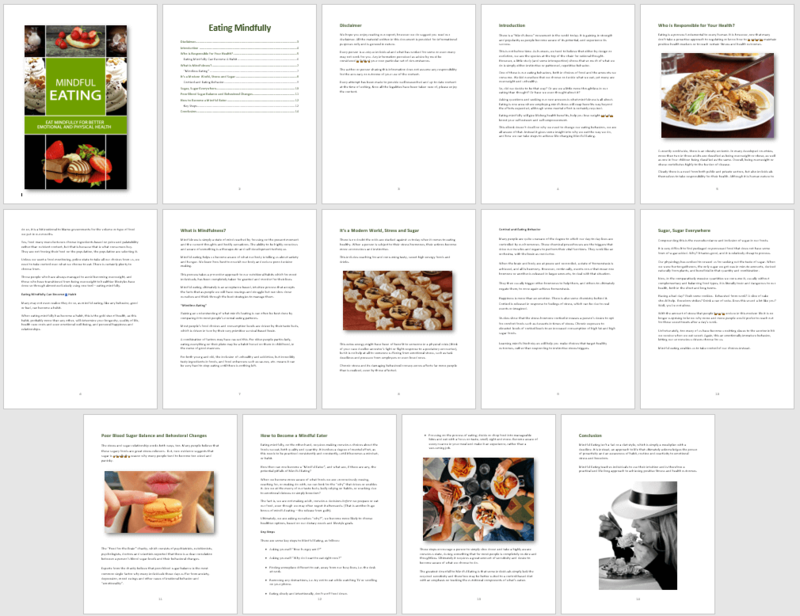 Table of contents with hyperlinked pages. Plus, fully formatted and royalty free, commercial use images. eCover Graphics – 4 different styles to choose from, plus provided in JPG and PNG formats. PSD file included for editing. It makes a great report to give to your subscribers if they opt in to your list, or you can use the contents as blog posts, the choice is yours!